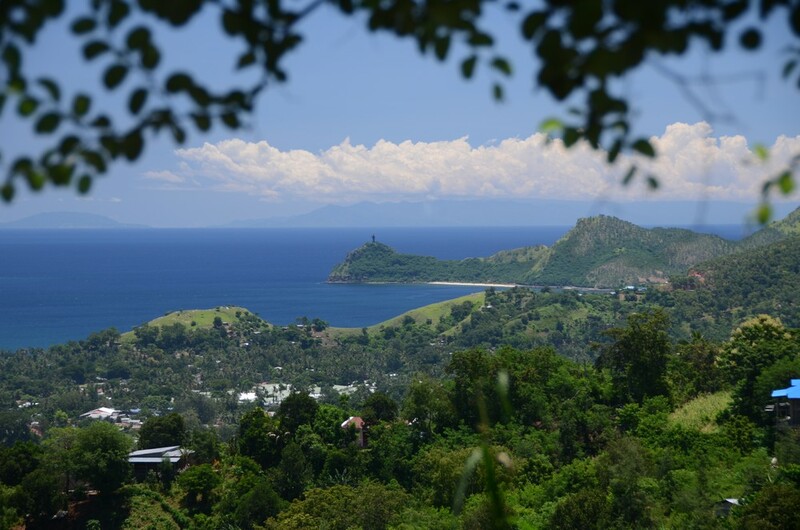 Dili, the capital of Timor-Leste, is an artificial place, but in a different way. The city (and much of the country) was destroyed after the rampage of pro-Indonesian militias following the 1999 independence referendum. Post-independence civil strife in the middle of the 'naughties didn't help. Today there are only a few remaining scars of that time - a few scorched buildings - and it is a fairly bustling place of a few hundred thousand inhabitants. What exists today would not exist without the huge influx and efforts of UN peace keeping forces, NGO's and aid agencies of every stripe and nationality. Development is everywhere. There is not a school or public building without a flag or plaque commemorating the foreign entity that paid for it. Some of it was direct aid like the central post office - paid for by South Korea. More recently large commercial investment has appeared. The first shopping mall and cinema (just opened late 2012) was built by Singapore developers. On the road to visit Kiva borrowers in Dili. I'm sure there was a great deal of planning on the part of those responsible for the rebuilding, and I don't suggest that in a country devastated by violence it was not needed, noble, humanitarian, right, and helpful to the people and government of Timor-Leste to have done this. But it is certain that what exists here today would not have sprouted in the same form from local, organic development. Cultural expression was virtually eliminated during the independence struggle, and is now limited to a few places where traditional woven cloth (tais), baskets and carvings are sold. Notable among them is the Alola Foundation created to raise awareness of sexual violence against women and girls as a result of the militia rampages of 1999 www.alolafoundation.org. A new "Timorese Resistance Archive and Museum" (paid for by Portugal and Macau) relates the long struggle for independence. The consequences of this development are a little strange, though not immediately apparent in a quick visit. For the most part, tourists are rare, and what exists in Dili exists to support the international workforce. Supply of services is highly skewed toward them and their expense accounts. When UN workers first arrived, there was no place for them to stay, and they were lodged on ships moored just offshore. Building "tourist infrastructure" is one of the areas where aid was and is applied. And though priced at international rates, it is not of high standard. In the poorest country in one of the poorest regions of the world, my room cost a whopping $850 per month (a slightly larger room with a chair, sofa and table was $400 more). Similar lodging on the Indonesian side of the island costs less than 1/3 of that. The main difference being the lack of a large foreign aid workforce. The UN left in December of 2012. I wasn't there before they pulled out, so I can't say how different it is today. 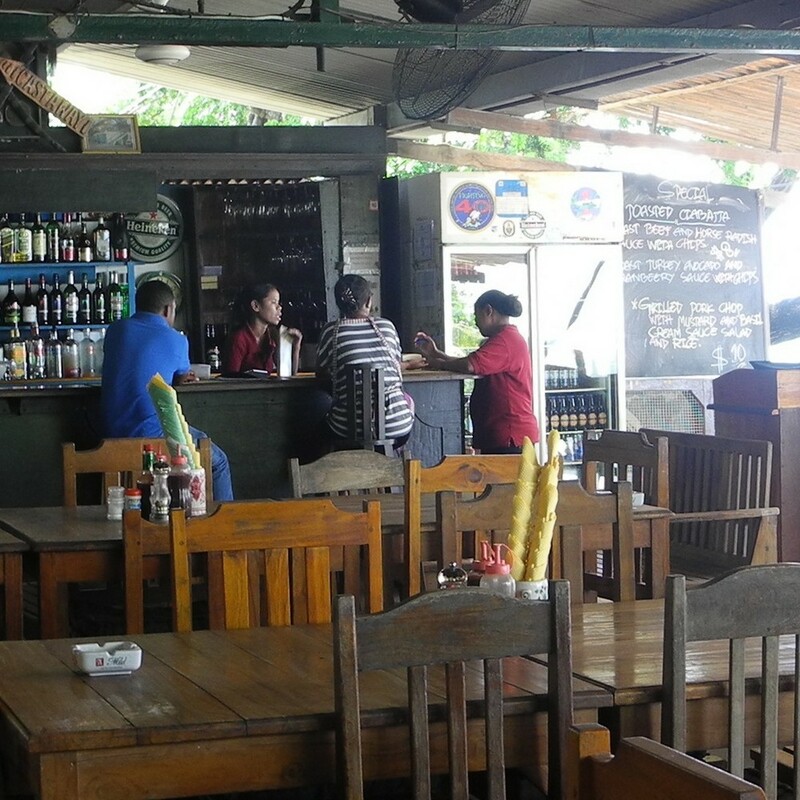 I don't know if they were humming with business when the UN was in DIli, but all of the beach side tourist restaurants were running at idle during my stat. Granted, February and March are not the peak season, but there were very few customers. From the viewpoint of someone assigned there, even for just a brief period as I was, it was very nice to find the Chinese-owned grocery store shelves filled with imported goods - mostly from Portugal (great sardines and olives). There was a large selection of imported wines. And I did find Skippy peanut butter, both Smooth and Crunchy. It was fresh this morning. One of the things I pictured in my mind before arriving here was wonderful grilled seafood. And there was a lot of fresh fish being pulled out of the sea and for sale along the beachfront road. But it was never on ice, often in the sun, and as the day wore on, the smell of spoiling fish filled the air. 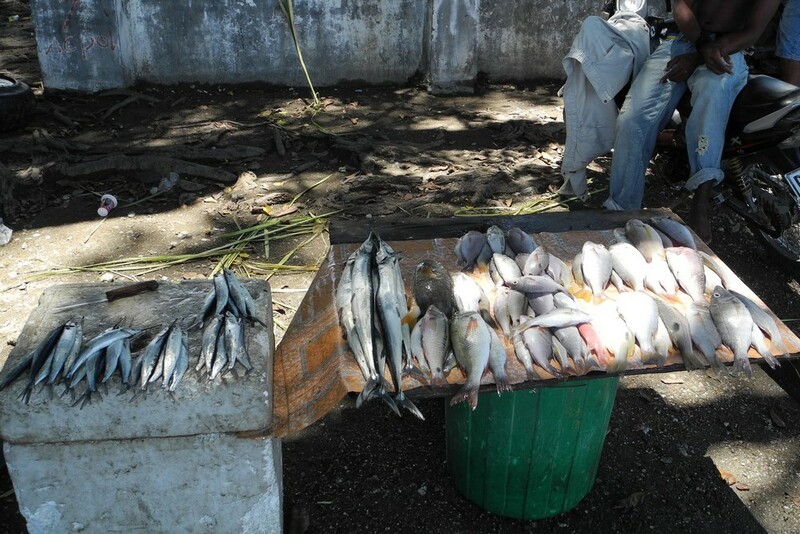 I never had a really good piece of fish in Dili, and I think most of what I got was a frozen import. You could even get five varieties of imported Portuguese dried bacalau in one of the markets. For a short jaunt from town on a weekend I could often be found riding my motorbike 10km east along the beach to "the Jesus statue" - a 27m tall copy of the one in Rio – and back. Stopping for lunch in one of the beach bodegas usually meant a pretty long wait if I ordered anything more exotic than nasi goreng (fried rice). The cook didn't keep much food on hand - it would likely go to waste for a lack of customers. She had to send out to buy anything I ordered. The chicken was a good bet to be fresh since it came back from the market still clucking. Lunch shopped and cooked to order. 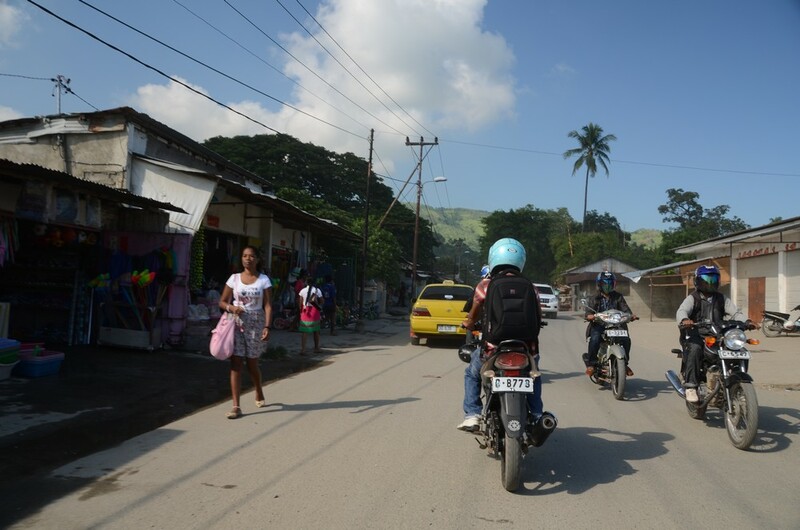 About 70% of the population of Timor-Leste lives on less than $2.50 per day. Coincidentally, an ice cream cone at the new mall costs $2.50. 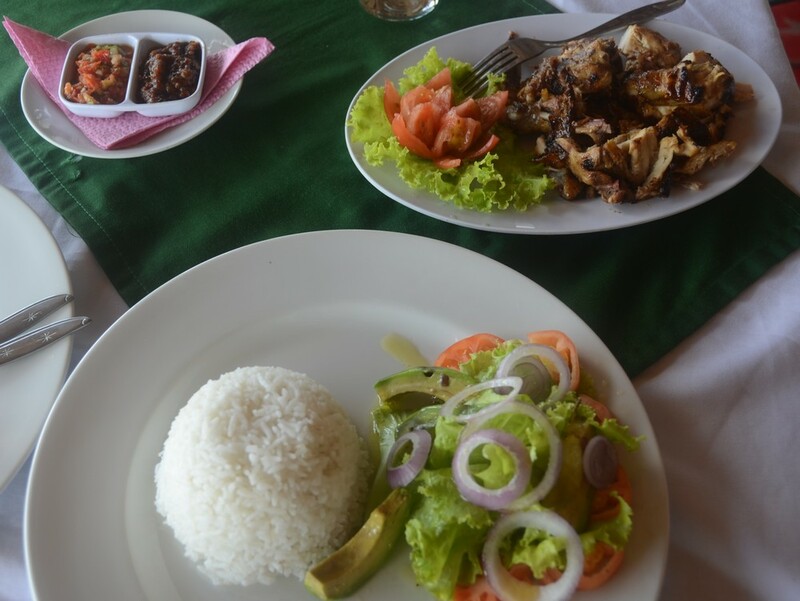 The lunch special at The One More Bar is $5.00. Most lunches out cost $8-10, though the $6.50 buffet at the City Cafe was the best deal. I have no survey data to support this statement, but I think I am safe in saying that 99.5% of the local population cannot participate in this economy. This is a symptom of big money aid. As it tries to address the desperate needs of a community it changes the landscape in unintended ways and leaves out most of those it is intended to help. It papers over things and gives a false sense (not in all ways) that progress has been made when, in fact, most people have been left behind. It's the Law of Unintended Consequences. Good time for a Kiva plug (www.kiva.org). The reason I was in Dili was to work with Kiva's micro-finance partner Tuba Rai Metin (tubaraimetin.com) to improve their reach to the people left behind. I suppose my time was well spent since TRM will soon be offering Kiva loans in all 13 national districts (before they were only offered in 2), and their available fundraising limit with Kiva was more than doubled. The next time you make a Kiva loan, be sure to look for borrowers in Timor-Leste. Splitting my time as a Kiva Fellow between Timor-Leste and west Timor, Indonesia, I had two options for moving to Kupang in the west. Either a horrendous 12 hour bus ride, or a flight to Bali and a flight back to Kupang. 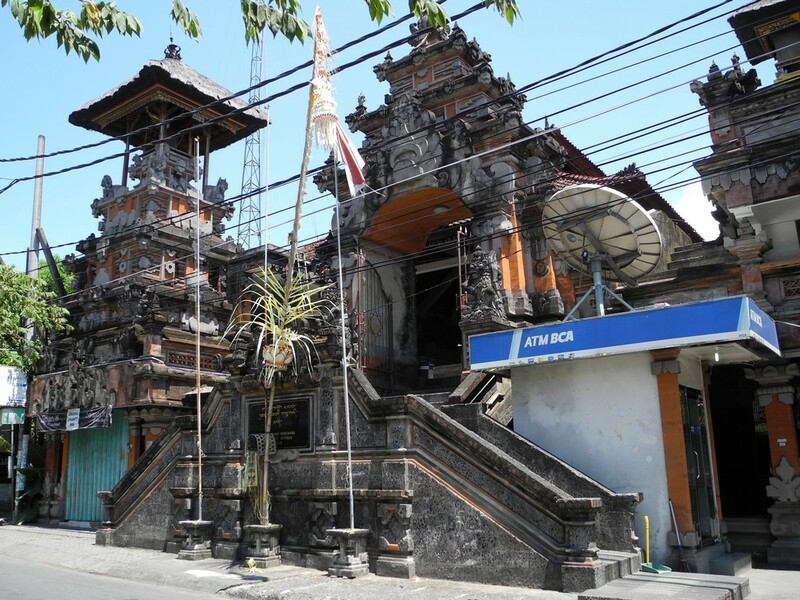 A couple of days R&R on Bali sounded like a good plan, so I booked a hotel in Sanur, an area I hadn't stayed in before. Bali is a different definition of artificial. Perhaps it's just over-developed. I don't know where the development dollars are from, but there were (and are) a lot of them. The whole southern end of the island is one traffic jam in streets full of foreign shops and throngs of paradise seeking vacationers and the people to support this industry. Yucch. The "real" Bali is to be found inland or along the coastline well away from over-developed Denpasar, Kuta, Legian and Sanur. But does "the real" (old) Bali still exist? Doubtful. Maybe just a shadow of it. Whether or not it is, I don't know, but the development seems more home grown here. Even with all the tourist mod-cons and brand name shops, the building seems more in line with Balinese ideas. Bali was probably a nice hideaway at one time, but it is a perfect example of why you should keep your mouth shut when you find someplace nice. I was really interested to see what Kupang would be like - only 175 miles (280 km) as the crow flies from Dili. There are no tourist brochures touting it as a destination. I've only been here about ten days, but I can say it is real. There's nothing in Kupang that I can interpret as put on, or existing only to serve a foreign audience. OK, there's Teddy's Bar down on the water, but it ain't much. 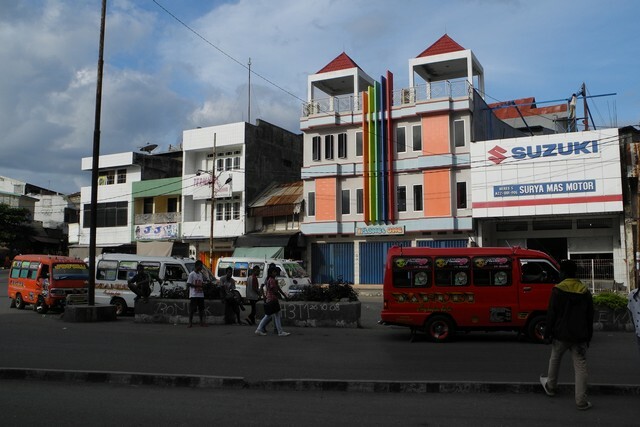 Kupang is a noisy, bustling place. 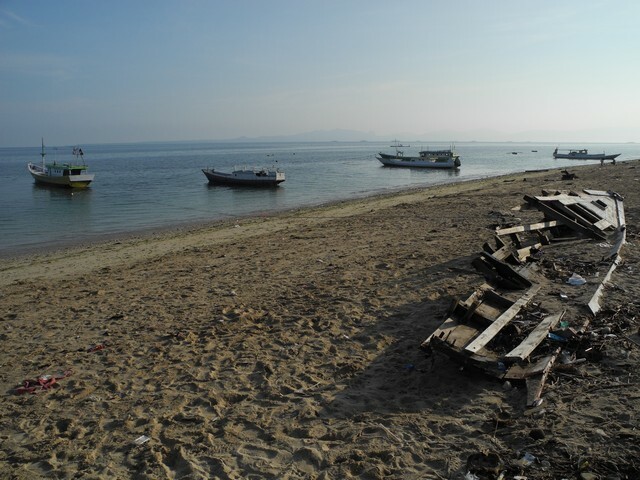 It is the business center and capital of Nusa Tenggara Timur - the poorest province in Indonesia. The nicest hotel in town is rather unremarkable and worn. The budget places are a little scary. The only foreign restaurant chain I've found is KFC, and there are far fewer foreigners around, though almost all of those are aid workers. There are many little snack places, and the restaurants are patronized by local people and families - a very rare sight in Dili. You can get fresh fish in the supermarket, on ice, and you can even get Skippy (smooth only). 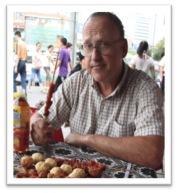 The very nice Borneo Bakery sells local products, not imitations of perceived foreign tastes. As an added bonus, the mosquitoes seem to be more plump and juicy and crackle more dramatically when hit with my zapper. Bemo depot in central Kupang. So, as I dig deeper into the place over the next few weeks, I'll monitor how I feel about reality. I'll have the chance to do that while I'm working with Kiva partner Tanaoba Lais Manekat (ytlm.org). My main task will be to perform a “borrower verification” - meeting with 10 current Kiva-TLM borrowers spread from Sabu to Niki-Niki. And I'll be discussing ways TLM can take advantage of Kiva's lender base to improve their reach to the poorest of the poor. 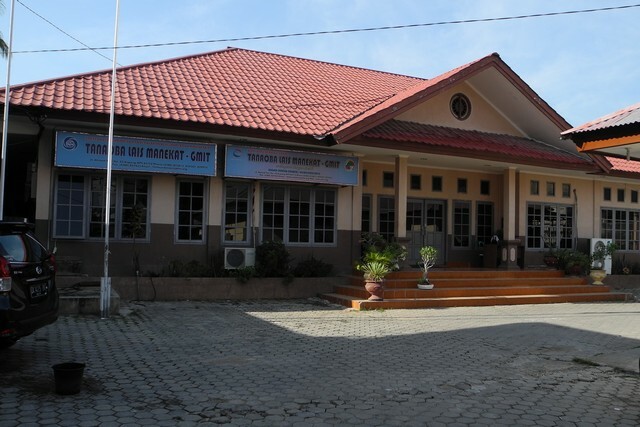 TLM's main office in Kupang. 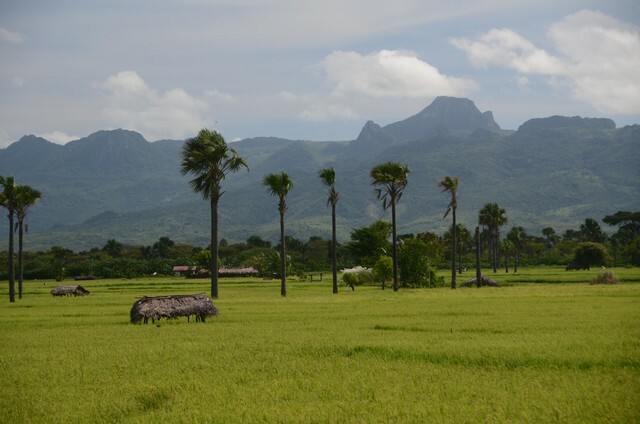 Rice fields and hills east of Kupang.